Alfred Sanzari Enterprises Negotiates Two Industrial Leases with Long-Time Tenant in South Hackensack, N.J. - Alfred Sanzari Enterprises, Inc.
Alfred Sanzari Enterprises Negotiates Two Industrial Leases with Long-Time Tenant in South Hackensack, N.J.
Alfred Sanzari Enterprises announces that they have signed a lease renewal and expansion with L&W Supply Corporation for 64,042 square feet of industrial space at two of their industrial properties in South Hackensack, N.J. L&W Supply Corporation renewed its current lease for the 32,000-square-foot industrial building at 14 Central Boulevard and also expanded its presence in South Hackensack through signing a new lease for the adjacent 32,042-square-foot industrial building at 25 Empire Boulevard. A tenant with Alfred Sanzari Enterprises at 14 Central Boulevard since 2004, L&W Supply Corporation is one of the nation’s leading distributors of construction supplies and building materials. Through its more than 150 local distribution centers throughout the country, L&W provides local construction professionals with unparalleled access to the products and resources necessary to create any project. Located less than a mile from the New Jersey Turnpike, 14 Central and 25 Empire feature unparalleled access to the region’s main transportation arteries including Routes 3, 17, and 46. 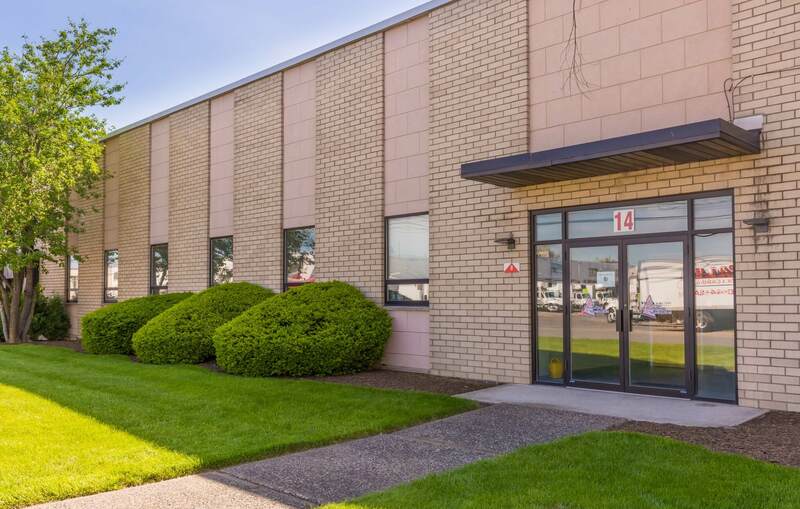 The high level of accessibility is augmented by 14 Central’s 32,00 square feet of industrial space, six tailgates and one drive-in loading door and 25 Empire’s 32,042 square feet, five tailgates and one drive in loading door. These features, along with both buildings’ clear ceiling heights, allow L&W to seamlessly manage their warehousing and distribution needs from two adjacent buildings to continue to efficiently service their growing roster of clients throughout the region. NAI James E. Hanson’s Andrew Somple, Chris Todd, Mike Walters, and Fernando Garip worked with Jerry Barta on the transaction. L&W was represented by Eric Lewin, Sr. Exec. VP of Team Resources.